The Huron County Health Unit has released an interim report on its public health investigation into wind turbine effects, which was launched earlier this year. 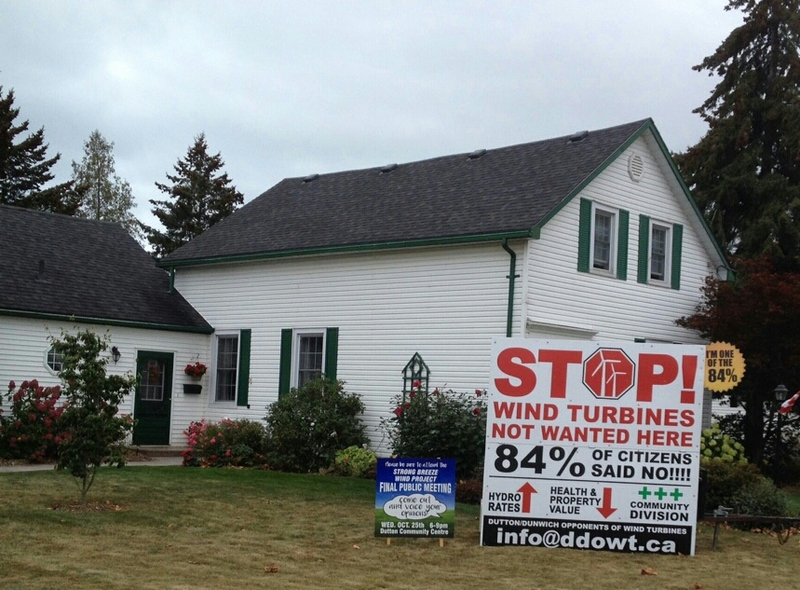 The investigation, approved by the Huron County Board of Health, was in response to the hundreds of complaints filed by residents over excessive wind turbine noise and vibration or sensation. Huron County has some of the largest wind power projects in Ontario. The public health investigation is being carried out under the authority of the Ontario Health Protection and Promotion Act. Although the epidemiologist supervising the investigation says the research team has enough participants, they would like more, Dr. Erica Clark told Ontario Farmer last week. Residents can sign up to participate until October 31. Wind Concerns Ontario has documents from the former Ministry of the Environment and Climate Change, received via a request under the Freedom of Information Act, which shows that the Ontario government received more than 4,500 official reports of excessive wind turbine noise and vibration from 2006-2016. The government responded to few of those reports, and in 2015-2016, responded to only about 6.9%. Meanwhile, Provincial Officers in the Master Incident Reports, which include excerpts from calls made to the government hotline, noted adverse health effects in 35% of those reports. 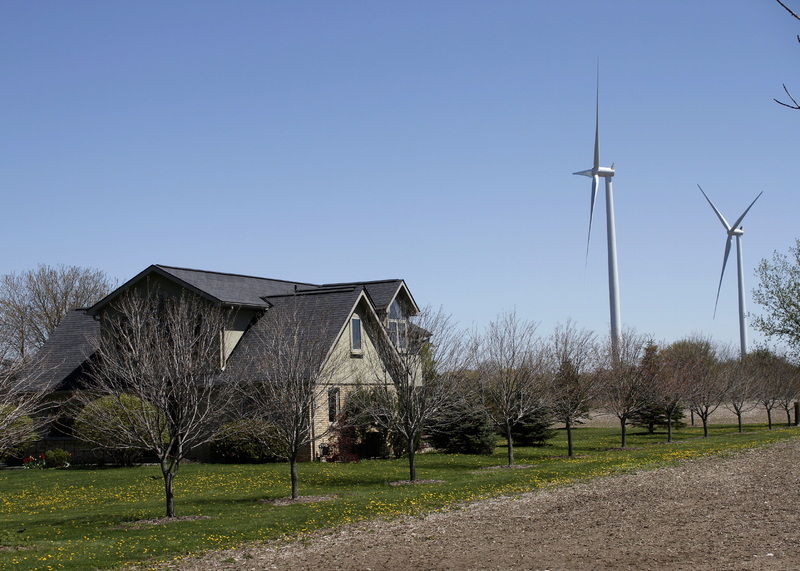 “That violates both the Renewable Energy Approvals and the Environmental Protection Act,” says Wind Concerns Ontario president Jane Wilson, who is a Registered Nurse. “The approvals state that the wind power operators are supposed to investigate every complaint of noise and make sure there is not a repeat —clearly, with some of these Master Reports containing hundreds of calls, that isn’t happening. “It is a violation of the EPA, section 1 (1) to allow anything, in this case noise, to enter the environment and cause adverse effect,” Wilson says. While the Health Unit can carry out the investigation into wind turbine noise and any adverse effect, it will not be able to issue an order to shut down turbine operations, Dr. Erica Clark says. Under the Green Energy Act, sole responsibility for the wind turbines was given to the Ministry of the Environment, even in matters of human health. In the meantime, residents experiencing noise, vibration, sensation, or flashing lights/strobe effect/shadow flicker should report these incidents. Please call the Spills Action Centre at 1-866-MOETIPS. Be sure to get an Incident Report number at then time of your call, and keep a record yourself of the time of your call, and what you reported. 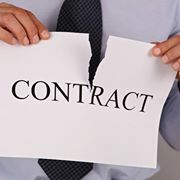 The Ontario government just announced cancellation of renewable energy contracts for which significant contractual milestones had not yet been met. The move will save $790 million from being added to electricity generation costs, and passed on to consumers’ electricity or hydro bills. The contracts to be cancelled likely include the five newest wind power projects, which were awarded contracts by the IESO in 2016, and which have not yet been given final approval. One, the “Nation Rise” project in North Stormont, did get a Renewable Energy Approval on May 4, just days before the write period for the recent election. That project is being appealed by a community group, The Concerned Citizens of North Stormont, a community group member of the Wind Concerns Ontario coalition. Health effects of the noise produced by the huge wind power generators is a concern especially, as Wilson says, “because there are literally thousands of reports of excessive wind turbine noise across Ontario that are to this day unresolved, and the ministry under the previous government was not even responding to complaints from Ontario families. Staff noted adverse health effects in documents released to us, but no action was taken. Estimated costs are based on FIT Contract rates of $135 per MW and average costs for the RFP projects of $89.5 per MW based estimated actual electricity production. The protest was kept under wraps until the late morning yesterday in quiet, beautiful Prince Edward County. A group of residents planned to interrupt a convoy delivering huge wind turbine parts for the “White Pines” wind power project in a peaceful manner, as an expression again of the community’s disapproval of the power project being located in the historic Loyalist area. The environmental risks of the power project were significant — so much so that the original 29-turbine project had been reduced to 27, then finally to 9, and the remaining approval came with conditions for the Germany-based power developer WPD in order to protect the environment and wildlife. Several wildlife and nature groups have supported the fight, emphasizing the immense danger to migratory birds from the turbines, close to the shore of Lake Ontario and on a major migratory bird pathway. The company’s commitment to those conditions has been questioned as it worked through the halt period required to protect endangered Blandings turtles; the citizens’ group, Alliance to Protect Prince Edward County or APPEC filed numerous actions requesting a stay of construction. Earlier this week, WPD was charged with violating the Environmental Protection Act. And then there is the power grid in Ontario: the electricity that could be produced (wind is notoriously intermittent and produced out of phase with demand) is not required in Ontario, which has a surplus of power and has been paying generators not to produce, as well as selling power on the electricity market for bargain-basement prices. The community has been fighting the power project for 10 years, mostly in court, with a few peaceful demonstrations such as a march through Picton last fall. Recently, it was learned that despite the fact Ontario’s soaring electricity bills were a major issue in the election campaign throughout the province, aided by the cost of wind power contracts, and the fact that this wind power project was a contentious issue in the riding, the Independent Electricity System Operator (IESO) actually issued the final approval or Notice To Proceed, during the writ period. “The previous Liberal government was in ‘caretaker’ mode when the IESO on May 11 green-lighted the litigation mired project,” said community member Liz Driver. “The community knows that the IESO were fully aware that wind projects were an election issue and that the PCs pledged to cancel projects still in development. As local journalist Rick Conroy explained in his June 27 commentary in the local Wellington Times newspaper the IESO decision trod upon centuries of parliamentary custom. The community members decided to make a point and actually interrupt the turbine delivery only to find out at the end that Ontario’s new government had announced cancelling the project was one of three priorities for its emergency call-back of the Legislature. The issue was “time-sensitive,” said local MPP Todd Smith who is also Government House Leader, in making the announcement. The power developer was working at breakneck speed to complete the project in hopes it wouldn’t be — couldn’t be — cancelled, contrary to the PC Party promises during the election. Until the Notice To Proceed was issued in secret in May, the power developer had been working at its own risk incurring costs, and without significant permits from the municipality. The developer has been working evenings and weekends to try to complete the project. 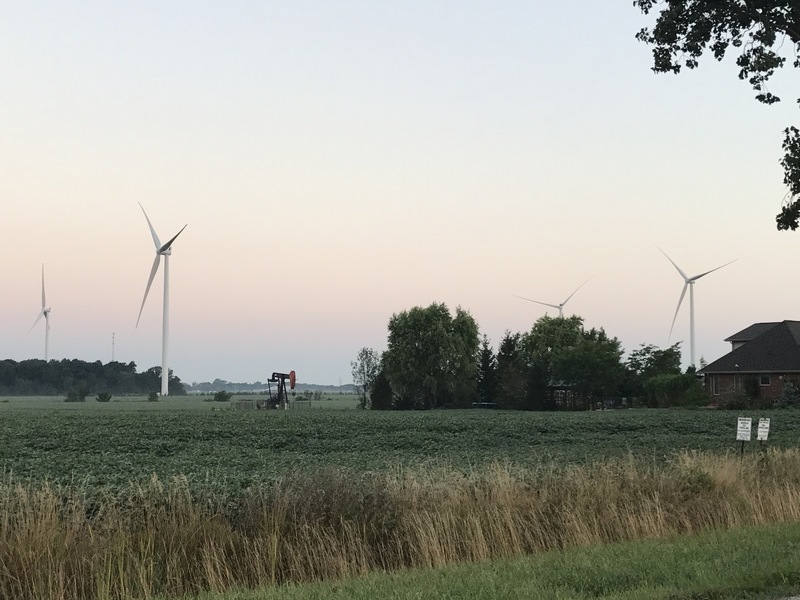 “If I hadn’t seen it myself, I wouldn’t have believed how fast they can put those things up,” said Paula Peel, a member of the executive of both APPEC and Wind Concerns Ontario. The government will introduce legislation Thursday regarding the project. In a just released review of the energy landscape in Ontario under the new Ford government, Mike Richmond, wind power contract specialist with law firm McMillan LLP, says the contracts between government and wind power developers can be cancelled in certain situations. Wind Concerns Ontario has long maintained this to be true, even recommending to the Wynne government that an effective way to reduce electricity bills for Ontario consumers — or at least, not have them go higher — was to cancel the $1.3B of new wind power contracts and to cancel any others where significant milestones have not been met. Mr. Richmond’s legal opinion and review is here. Developers, lenders, construction firms, installers, landlords and other clients with interests in contracts for projects which have not yet been granted Notice to Proceed (NTP) by the Independent Electricity System Operator (IESO) (or acceptance of Key Development Milestones for Large Renewable Procurement (LRP I) projects) have reason to be concerned. While the [PC election] platform was not long on detail, it was absolutely clear that where pre-construction contracts contain provisions allowing the IESO to terminate at or prior to NTP or other equivalent milestones, before expensive capital equipment has been delivered and installed, the Government will be directing the IESO to exercise those termination rights. $500,000 plus $20.00/kW for waterpower facilities. These figures only represent liability caps. To be eligible even for these amounts, developers will have to be able to demonstrate that they incurred, after being awarded a FIT Contract, “soft” costs up to these amount for items such as environmental approvals, EPC and financing contract negotiations, land rights, resource assessments, connection cost deposits, equipment deposits and permitting. Costs spent on generating equipment (other than reasonable non-refundable deposits), and amounts representing lost profits, are not eligible. Given the stated election platform, and the fact these contracts were a key campaign issue, why then did the Wynne government issue a Renewable Energy Approval to Portugal-based EDPR for its unneeded 100-MW “Nation Rise” wind project just days before the writ was drawn up for the June election, and why did the IESO toss its termination rights overboard on the WPD “White Pines” project, during the active election campaign? What pressures were brought to bear on the former government by the power developers? And why are taxpayers now being forced to pay for the new government’s defence of a bad decision made by the Wynne government, in the Nation Rise appeal? OTTAWA July 3, 2018— The citizens’ group opposing the 100-megawatt “Nation Rise” wind power project asked Premier Doug Ford and his new government today to state its intention to cancel the project’s contract, and halt legal action related to its approval. The power project, to be located just south of Ottawa, received Renewable Energy Approval just days before the writ for Ontario’s June election was drawn up. The community filed an appeal of the approval, based on environment and health concerns, which is set to begin Thursday July 5 with a hearing in Finch, Ontario. Given the new government’s campaign pledge to end contracts for projects which do not have final approval, however, the legal action is a waste of time and taxpayer money, says Margarent Benke, spokesperson for the Concerned Citizens of North Stormont. Ministry of the Environment employees and lawyers must travel from Toronto and mount a defence of the approval, Benke says, which makes no sense if the government plans to cancel the unnecessary power project. Ontario currently has a surplus of electrical power; wind power projects produce power out-of-phase with demand, and Ontario’s Auditor General has criticized the contracts for their above market rates. Auditor General Bonnie Lysyk has said Ontario electricity customers overpaid for renewable power by $9.2 billion. 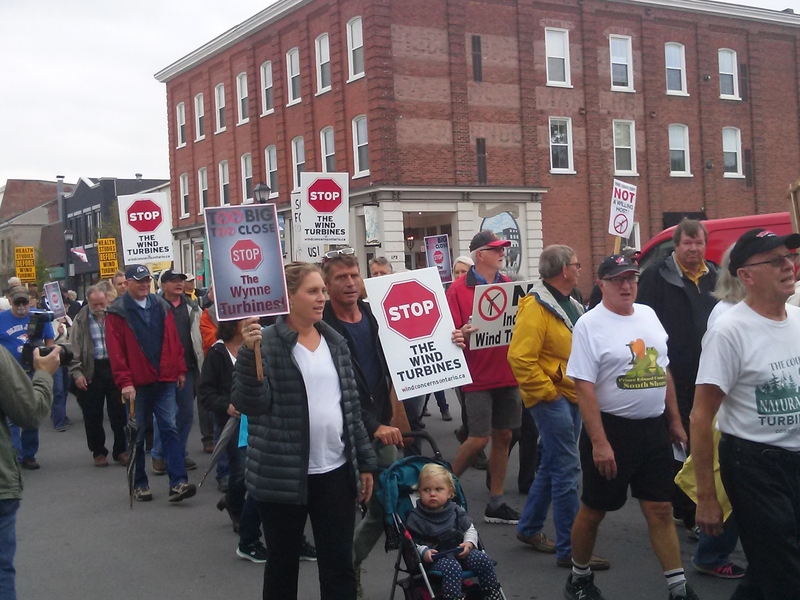 Community members in Prince Edward County were shocked to learn this past weekend that Ontario’s Independent Electricity System Operator (IESO) had granted the final approval required for the “White Pines” wind power project. The IESO apparently gave the project final Notice To Proceed. Projects without a Notice To Proceed or NTP can still be cancelled. Worse, the NTP was given apparently on May 11, which was four days after the writ for the 2018 election was drawn up. It is accepted practice that in the immediate election period, certainly after the writ has been released, the sitting government does not make major announcements or take important decisions. Especially on a subject like the White Pines power project which is involved in two separate legal actions currently, and was certainly a major issue in the local election campaign. It is also arguable whether the Renewable Energy Approval for the 100-megawatt “Nation Rise” wind power project, announced days before the writ, is acceptable. Certainly, there are questions to be asked about influence on the IESO and the Ministry of the Environment and Climate Change to take these actions when they must have known they were outside accepted practice. The people were right: no demonstrated environmental benefit, and plenty of economic hardship. Now that Ontario’s election is over, and there is a majority government in place, plenty of political watchers are commenting on what happened to create such a dramatic change in Ontario government. One factor that comes up is Ontario’s disaster plan for renewable energy — and by that, we mean WIND — and the effect it had on Ontario consumers’ electricity bills. Two Auditors General told the government it was paying too much for renewable power, as much as twice the rate in other jurisdictions. Auditor General Bonnie Lysyk (who has had many problems with accountability and governance with the Wynne Liberal government) said Ontario consumers overpaid by more than $9 billion. That’s not just a few dollars extra on the electricity bills — that’s multiples of previous bills, so much so that “energy poverty” became a new expression in Ontario. The Association of Food Banks of Ontario put a photo of a light bulb on their 2016 hunger report. Here are a few articles popping up that look back at the damage done to a province that was once Canada’s “economic engine”, all for an unproven ideology. Undoing the damage of the Green Energy Act won’t be easy, writes economist and public policy professor Jack Mintz, but it has to be done if Ontario is to save itself. Worst of all for Ontario’s rural residents, are the comments and analysis of the wind power program: in terms of environmental benefits, it was all for nothing. Industrial-scale wind power has never demonstrated a benefit in cutting CO2 emissions. In fact, the way wind power was done in Ontario is now a “black eye” for green energy all over the world, says a journal in the renewables industry. That’s quite a legacy for one political party. Now, we pick up the pieces. Yesterday saw a dramatic change in governance in Ontario. Fifteen years of Liberal rule were over, and the Progressive Conservative Party of Ontario — which has its base in rural Ontario — will form the new government. For Ontario citizens who have been forced, through the previous government’s Draconian Green Energy Act, to live inside noisy, disruptive wind power projects, there is new hope for justice. The Green Energy Act superseded 21 pieces of legislation in Ontario, and removed local land-use planning for “renewable” power projects. That meant that people living in small communities could see their municipal government seek consultation on other forms of development, but be without influence when multi-million-dollar industrial-scale wind turbines were put forward by the government and (mostly foreign-owned) wind power developers. The government promised that if there were problems, they would pay attention to them: they didn’t. They promised they wouldn’t force the highly invasive, high-impact power projects on communities that didn’t want them: they did. And to this very day, to this minute, the Ontario Ministry of the Environment and Climate Change is ignoring the thousands upon thousands of reports of excessive noise and other impacts of the wind turbines. The government went so far as to instruct employees not to respond, event o close files without resolution, and to appoint certain employees to preach the gospel of non-harmful wind power while ignoring current research and even denigrating resident reports of health effects and harm (Rick Chappell in Owen Sound, we mean you). The new Premier, Doug Ford, also promised a public health investigation into the well water problems in Chatham-Kent, a situation for which the previous government dodged responsibility. This new government will be facing a great deal of work now, with so many things mishandled in Ontario, but it is our hope that they soon fulfill these promises, which will benefit all people of Ontario by reducing electricity costs, and reducing harm to our fellow citizens. We learned today from Sauvons La Nation/Save The Nation (one of the 30 community groups in our coalition) that the wind power developer responsible for the Eastern Fields power project, RES Canada, has refused to provide documentation on the project in French. La Nation, according to Statistics Canada, is about 70% francophone; the Township of Champlain’s francophone population is about 62%. According to a spokesperson for Sauvons La Nation, RES Canada told community members it would cost too much to translate all the documentation. RES Canada stands to make about $7 million a year from the 32-negawatt power project. The MOECC translated a small portion of the documentation in the introduction but is alleged to have told the community, the documents aren’t really for the general public anyway. Right now, Eastern Fields is currently posted on the Environmental Registry for comment. Residents have been asking for French documentation prior to the June 2nd deadline but to no avail. The result is, francophone residents who will be affected by the Eastern Fields project, for which there are significant environmental concerns, have been excluded from participating in the legislated public consultation process. The community has made its concern over this power project known in many ways, from presentations, public meetings that attracted hundreds, and hundreds of signatures on a petition taken to Queen’s Park. Of all the ways the Ministry of Environment and Climate Change (MOECC) has excluded the people of Ontario and abused rights to due process, this has surely got to be one of the most egregious. 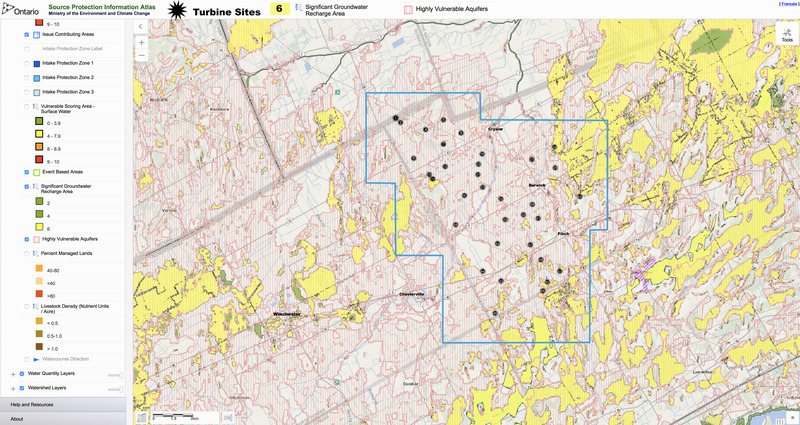 Wind Concerns Ontario contacted the Senior Project Evaluator for Eastern Fields — she’s away. We contacted an official in the Minister’s Office whose name was given to us — he’s away until after the election. We also contacted the Office of the Human Rights Commission for Ontario: no response. -embark on a new 45-day comment period. It was interesting the Ontario’s premier was in Glengarry-Prescott-Russell today, the riding in which Easter Fields would be built, if approved, and spoke about the importance of francophones in Ontario. When it comes to wind power projects, apparently, francophone Ontarians can be ignored and discriminated against like everyone else in Ontario’s rural communities.